Soon in Peccioli! From January 30th to February 3rd. On November 23rd, 2016, in the context of the European Robotics Week 2016, the Department of Computer, Control, and Management Engineering opens its robotics laboratories. We will illustrate our research activities on articulated manipulators, mobile robots, humanoids, autonomous flying vehicles and soccer robots. 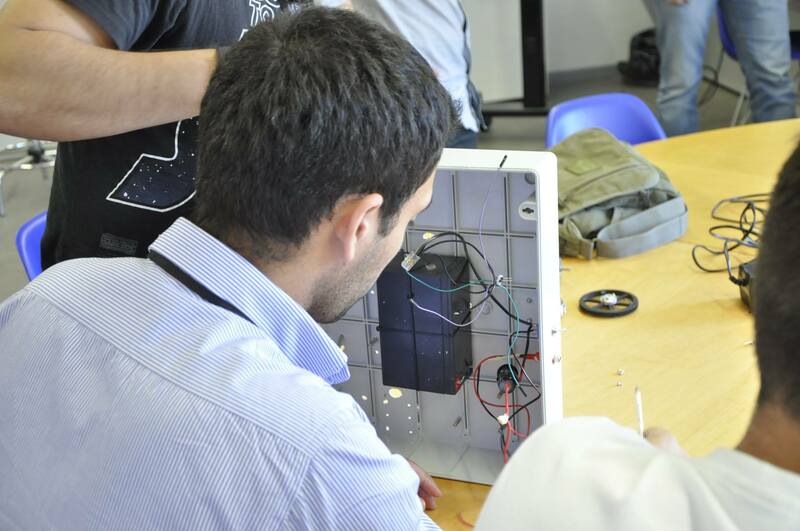 COACHES project will provide a modular architecture to be integrated in real robots. We deploy COACHES at Caen city in a mall called “Rive de l’orne”. The COACHES robots will use different modalities (speech and displayed information) to interact with the mall visitors, shopkeepers and mall managers. 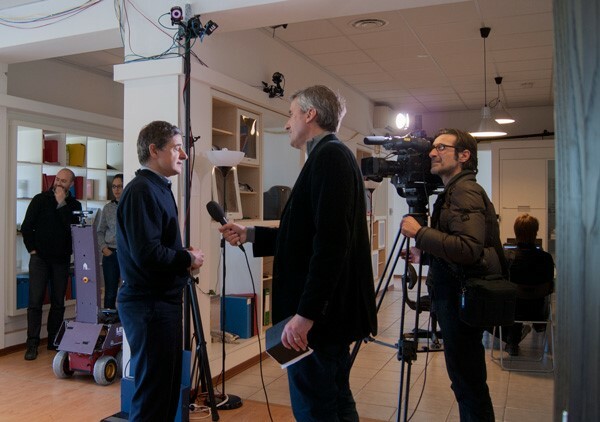 The project has enlisted an important an end-user (Caen la mer) providing the scenarios where the CAOCHES robots and systems will be deployed, and gather together universities with complementary competences from cognitive systems (SU), robust image/video processing (VUB, UNICAEN), and semantic scene analysis and understanding (VUB), Collective decision-making using decentralized partially observable Markov Decision Processes and multi-agent planning (UNICAEN, Sapienza), multi-modal and short-term human-robot interaction (Sapienza, UNICAEN). Merry Christmas and Happy New Year from LabRoCoCo! 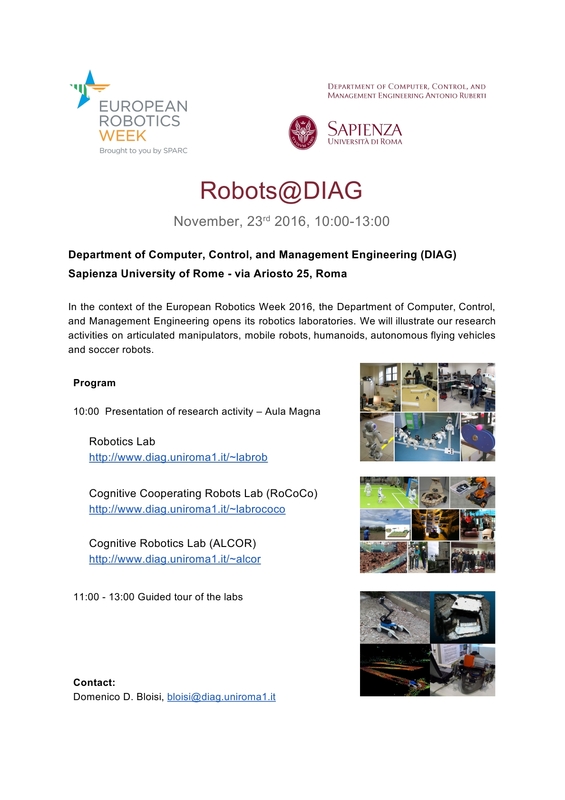 On November 25th, 2015, in the context of the 5th edition of the euRobotics Week, promoted by euRobotics aisbl – The European association for a Public-Private Partnership in robotics, DIAG opens its robotics laboratories. In particular, we will illustrate our research activities on articulated manipulators, mobile robots, humanoids, autonomous flying vehicles and soccer robots. 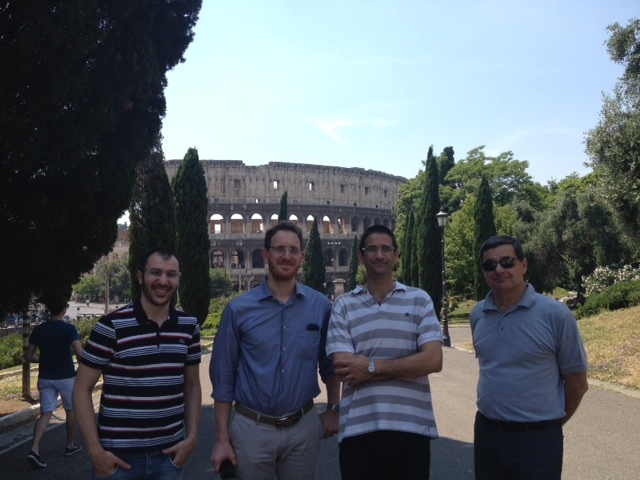 Jacopo Serafin's paper has been accepted at IROS 2015! Jacopo Serafin, Giorgio Grisetti, "NICP: Dense Normal Based Point Cloud Registration. ", In Proc. of the IEEE/RSJ Int. Conf. on Intelligent Robots and Systems (IROS) (to appear), Hamburg, Germany, 2015. Abstract - In this paper we present a novel on-line method to recursively align point clouds. By considering each point together with the local features of the surface (normal and curvature), our method takes advantage of the 3D structure around the points for the determination of the data association between two clouds. The algorithm relies on a least squares formulation of the alignment problem, that minimizes an error metric depending on these surface characteristics. We named the approach Normal Iterative Closest Point (NICP in short). Extensive experiments on publicly available benchmark data show that NICP outperforms other state-of-the-art approaches. Roberto Capobianco's paper has been accepted at ECMR 2015! data for populating the dataset. Selected contributions from Environmental robotics will be invited to extend their publications and to be considered for publication in a special issue from Sensors (IF: 2.245): "Robotic Sensory Systems for Environment Protection and Conservation" (http://www.mdpi.com/journal/sensors/special_issues/RSSEPC). The selected contributions are subject to another reviewing process carried by Sensors. - Air, ground and underwater robotic systems, or other robotic configuration. - Sensors and payload architectures. - Robotic systems design choices and motivation. - Design of testbed and experimental setups. - Multi-robot systems, heterogeneous fleets of robots, site specific collaborative behaviors. - Task planning, path planning and optimization approaches. - Experiments addressing long-term autonomy. - Applications and case studies are very welcome! Our laboratory has recently participated to the eighth International Oberseminar, an annual research meetings on AI and Cognitive Robotics, involving participants from the Robotics and AI related groups from University of Freiburg, Sapienza Università di Roma, University of Groningen, and Sabanci University. Our laboratory has recently presented a full paper and a poster at AAMAS 2015. The work presented as a poster was carried out by collaborating with the CORAL group at Carnegie Mellon University. Below the abstracts of the works. Teaching Robots Parametrized Executable Plans Through Spoken Interaction. G. Gemignani, E. Bastinaelli, and D. Nardi. 14th International Conference on Autonomous Agents and Multiagent Systems, AAMAS 2015. Abstract: While operating in domestic environments, robots will necessarily face difficulties not envisioned by their developers at programming time. Moreover, the tasks to be performed by a robot will often have to be specialized and/or adapted to the needs of specific users and specific environments. Hence, learning how to operate by interacting with the user seems a key enabling feature to support the introduction of robots in everyday environments. In this paper we contribute a novel approach for learning, through the interaction with the user, task descriptions that are defined as a combination of primitive actions. The proposed approach makes a significant step forward by making task descriptions parametric with respect to domain specific semantic categories. Moreover, by mapping the task representation into a task representation language, we are able to express complex execution paradigms and to revise the learned tasks in a high-level fashion. The approach is evaluated in multiple practical applications with a service robot. On Task Recognition and Generalization in Long-Term Robot Teaching (Extended Abstract). G. Gemignani, S. Klee, M. Veloso, and D. Nardi. 14th International Conference on Autonomous Agents and Multiagent Systems, AAMAS 2015. Abstract: Several research efforts address the challenge of having users incrementally teach or demonstrate a task to a robot. We are interested in an autonomous robot that persists over time and the problem of teaching it an additional task. We believe that the assumption that a user would know all the tasks previously taught to the robot does not hold. We hence investigate the problem of recognizing when a user is teaching a task similar to one the robot already knows and performing task autocompletion. In this extended abstract, we briefly discuss our approach, and report the results of an experiment run with human teachers. The RoCKIn Camp 2015, organized by UNIROMA1 and held in Peccioli (Italy) from 18th to 22nd of March, has been designed as a consistent follow up of the previous Camp 2014, held in Rome from 26th to 30th January 2014. Many of the best teams that participated at the previous camp attended also the RoCKIn Camp 2015. Differently from the RoCKIn Camp 2014, that has been structured as a week-long school with lectures and practical activities, the RoCKIn Camp 2015 put a special emphasis on the hands-on experience of the participants, encouraging each team to focus on specific RoCKIn task and functionality benchmarks in order to improve their performances during the camp and to achieve the best possible results. 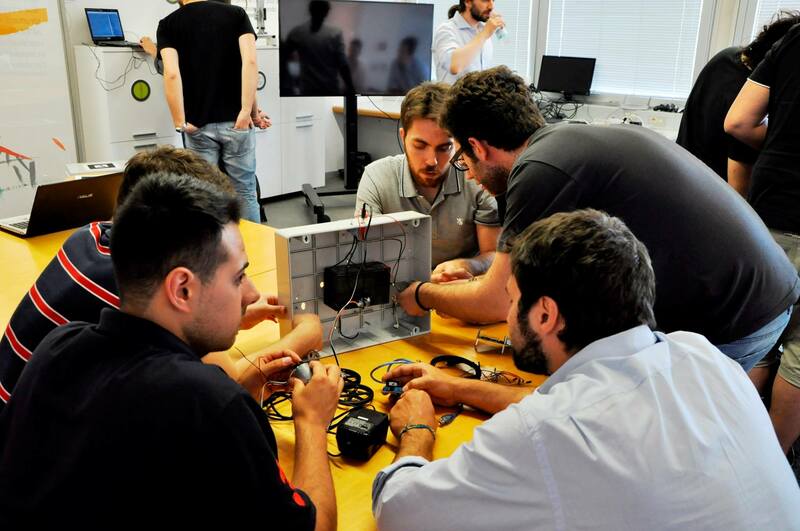 The RoCKIn Camp 2015 has been organized at the ECHORD++ Robotics Innovation Facility (RIFs) of Peccioli (Italy). Teams gained access to the state-of-the-art ECHORD++ domestic test bed (Figure 1) and to the RoCKIn industrial test bed, and had the chance to practice and improve their performance in the task and functionality benchmarks. 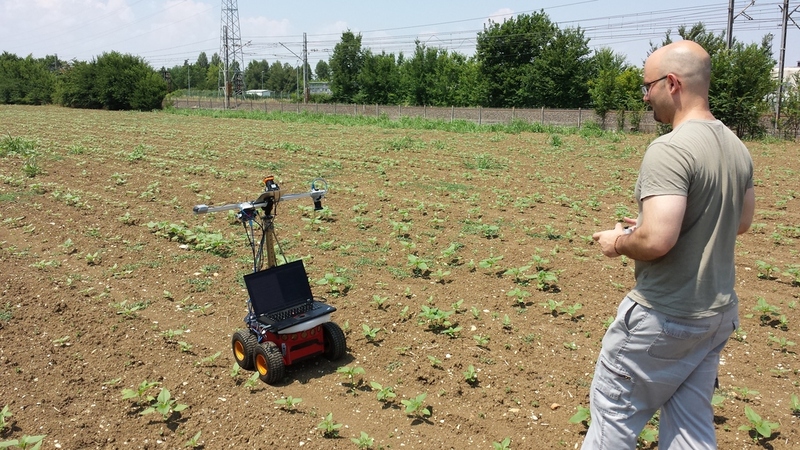 The domestic test bed was equipped with the RoCKIn ground truth system provided by Milan Polytechnic (POLIMI) for data gathering and allowed teams to get detailed feedback on their performance. Prove di ‪#‎Fablab‬ a Città della Scienza al workshop formativo organizzato nell'ambito di ‪#‎TechnologyBiz‬ e promosso da Città della Scienza in collaborazione con la Sapienza - Università di Roma – Dipartimento di Ingegneria informatica automatica e gestionale “Antonio Ruberti. 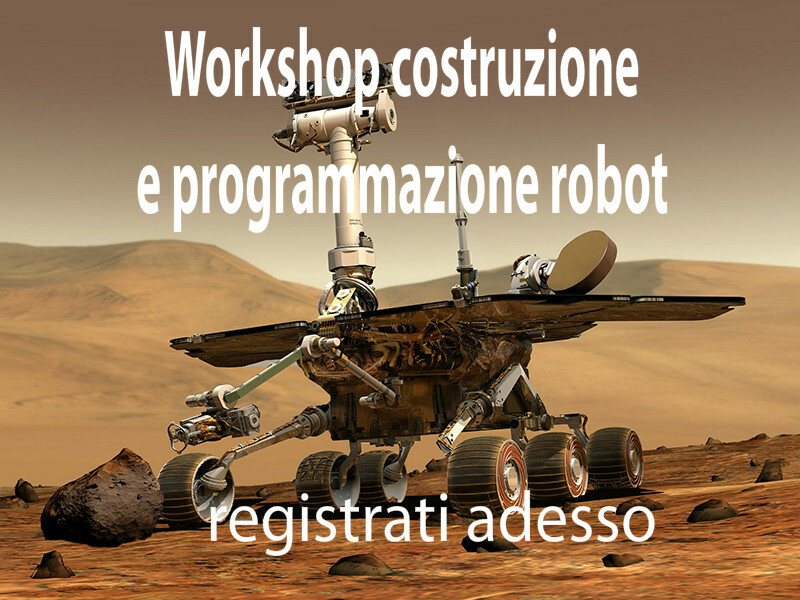 Il workshop è strutturato in due giornate e prevede la costruzione e la programmazione di un prototipo di robot low-cost con una base mobile, per il quale è stato sviluppato dalla Sapienza un kit open e basso costo, che garantisce uno standard di prestazione elevato. Per ulteriori informazioni, visita la pagina Facebook. 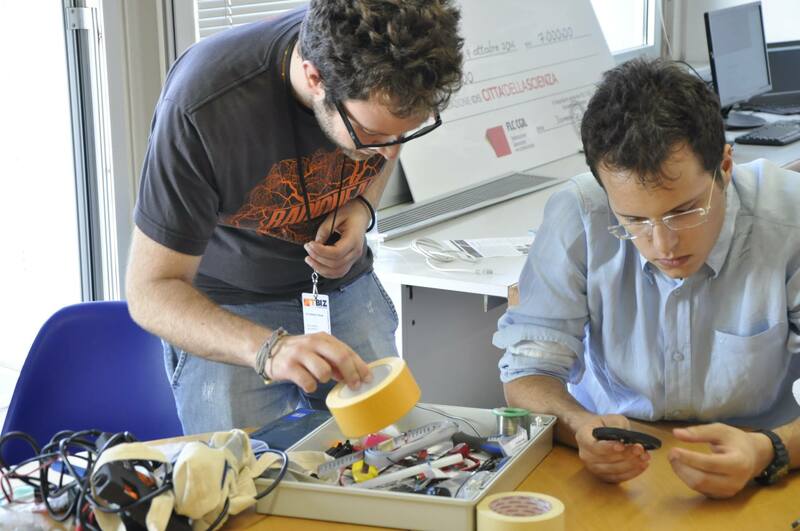 LabRoCoCo takes part to the workshop ‪#‎TechnologyBiz‬ which is sponsored by Città della Scienza. 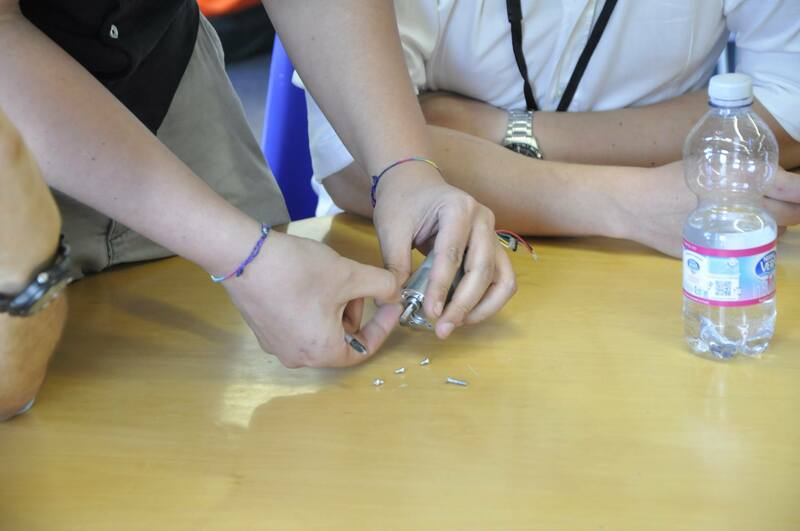 The workshop will last two days: a low-cost robot will be programed. A low-cost open kit developed by Sapienza will anyway guarantee high standard performances. For further information, please visit the Facebook page. The LabRoCoCo team went to the sunflowers field expressly prepared by the ASSAM team for the Flourish project (10 hectares). The purpose of the visit was to capture a first dataset of the field with the plants still small. 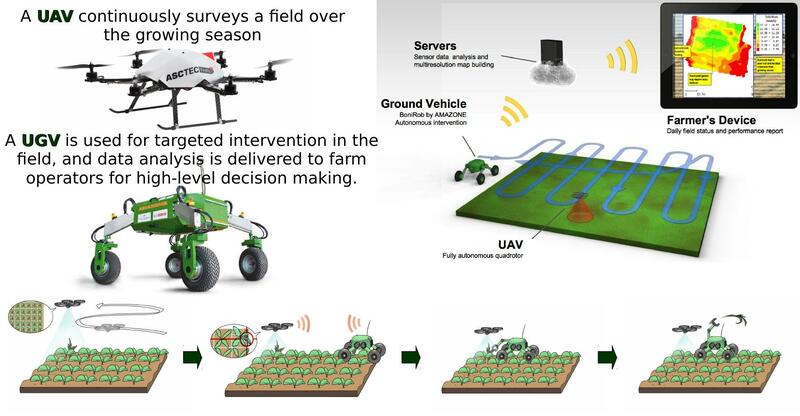 The goal of the Flourish project is to bridge the gap between the current and desired capabilities of agricultural robots by developing an adaptable robotic solution for precision farming. The Flourish project is funded by the European Community's Horizon 2020 programme under grant agreement no 644227-Flourish. LabRoCoCo partecipa al Workshop “MARRTINO”! LabRoCoCo takes part to the Workshop “MARRTINO”! Great success for LabROCOCO @ Rome Drone Expo 2015! 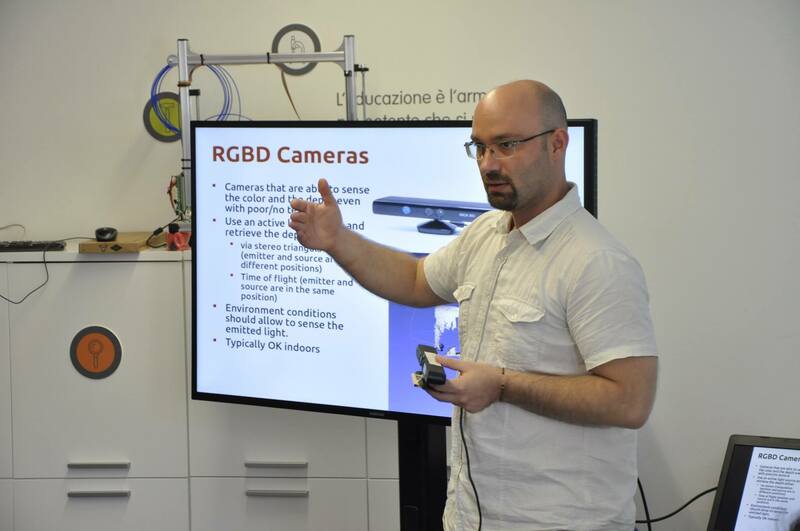 The Department of Computer, Control, and Management Engineering “Antonio Ruberti” (DIAG) at Sapienza University of Rome participates as exhibitor, within the European Horizon 2020 project FLOURISH, at Roma Drone Expo&Show 2015, that will take place at Aeroporto dell'Urbe in Rome from May 29th to May 31st 2015. 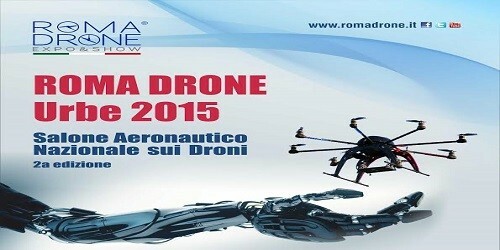 Roma Drone Expo&Show is the biggest event in Italy dedicated to the world of drones. Il Dipartimento di Ingegneria Informatica, Automatica e Gestionale “Antonio Ruberti” (DIAG) dell'Università di Roma “La Sapienza” parteciperà come espositore, nell'ambito del progetto Europeo Horizon 2020 FLOURISH, alla manifestazione Roma Drone Expo&Show 2015 che si terrà presso l'Aeroporto dell'Urbe dal 29 al 31 Maggio 2015. Nata nel 2014 e giunta alla sua 2a edizione, la manifestazione Roma Drone Expo&Show è dedicata al mondo dei droni e della robotica. La manifestazione prevede un ampio spazio espositivo pari circa a 12 mila mq con diverse aree specializzate, tra le quali scuole di volo, droni sportivi e amatoriali, istituzioni e aziende aeronautiche. Sarà inoltre possibile assistere a diversi voli dimostrativi di droni sia ad ala fissa che multi-rotore. Our Lab will join the Maker Faire 2018! COACHES: the first steps of the robot in a mall! 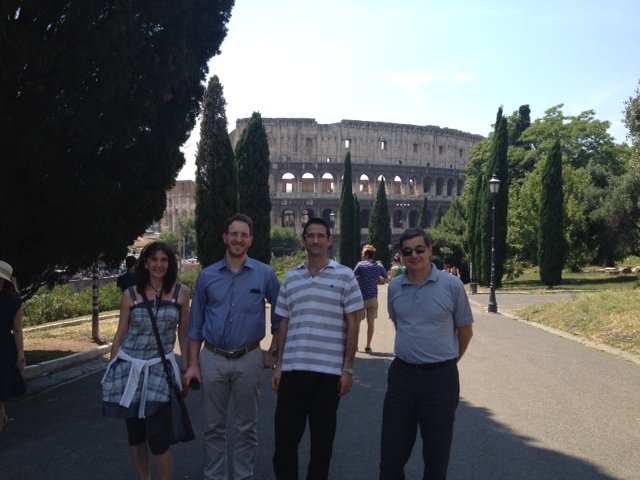 Jacopo Serafin's paper has been accepted at IROS 2015!! Roberto Capobianco's paper has been accepted at ECMR 2015!! 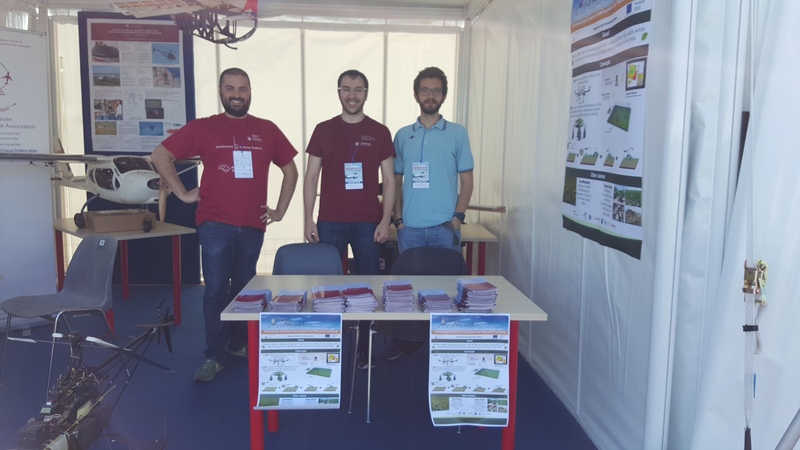 The Department of Computer, Control, and Management Engineering “Antonio Ruberti” (DIAG) at Sapienza University of Rome participates as exhibitor, within the European Horizon 2020 project FLOURISH, at Roma Drone Expo&Show 2015. 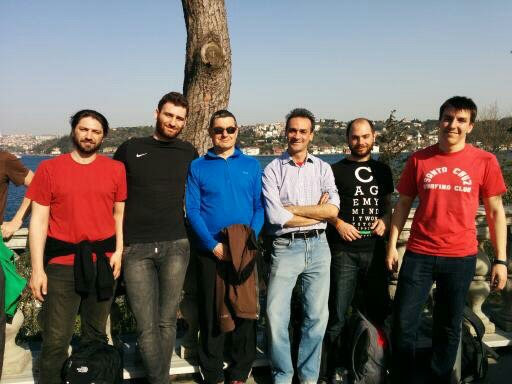 Lab RoCoCo participates to OpenDIAG on 13 March 2015. 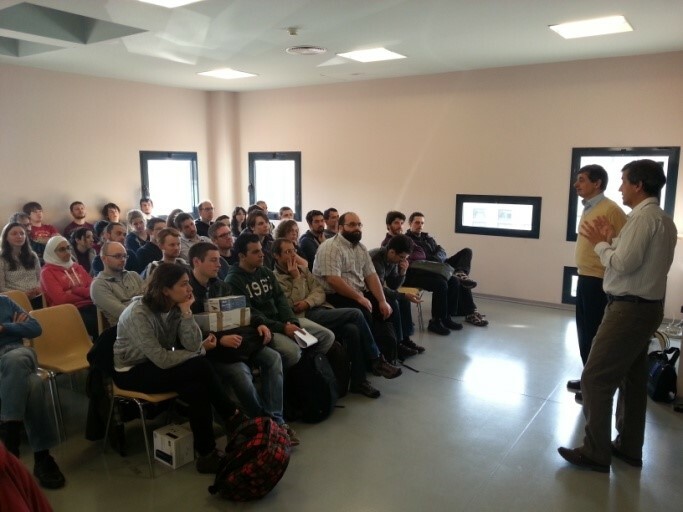 EUrobotics week 26 November 2014. See the details here.